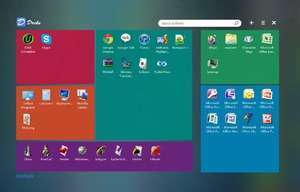 Docks is the most popular free dock for Windows. It enables you to quickly access and launch your favourite applications, files and shortcuts. Its MAIN FEATURES contains Easily access your shortcuts and frequently used applications; Quickly launch and switch between applications; Discretionarily re-arrange docks by drag & drop; Quickly delete and uninstall the existing docks; Quickly search for files and applications. For security reasons, you should also check out the Docks download at LO4D.com which includes virus and malware tests. Additional screenshots of this application download may be available, too.